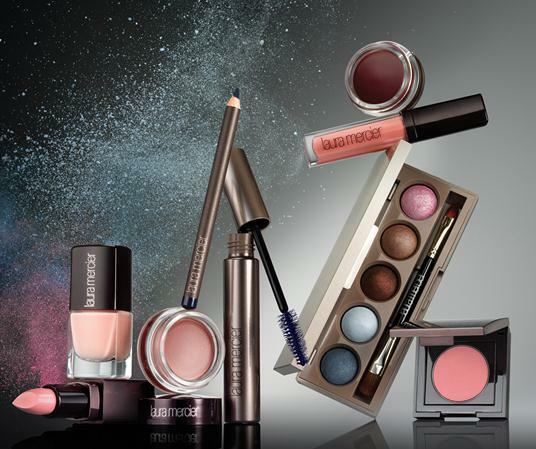 Laura Mercier Spring 2013 Arabesque Soft. Sweet. Serene. Inspired by the spirit of light and movement. From the sweet nuance of a ballerina to the fluid moves of yoga and dance, Laura interpreted motion into a colour palette that is soft, ethereal and beautiful. Free Spirit Baked Eye Colour Palette £30 - Shades - Blue Zen, Soft Cloud, Satin Ribbon, Bare Yoga, Pink Tutu.